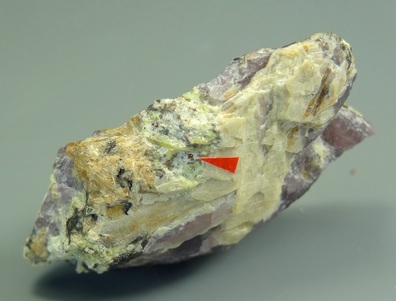 Apatite Supergroup: Mineral information, data and localities. 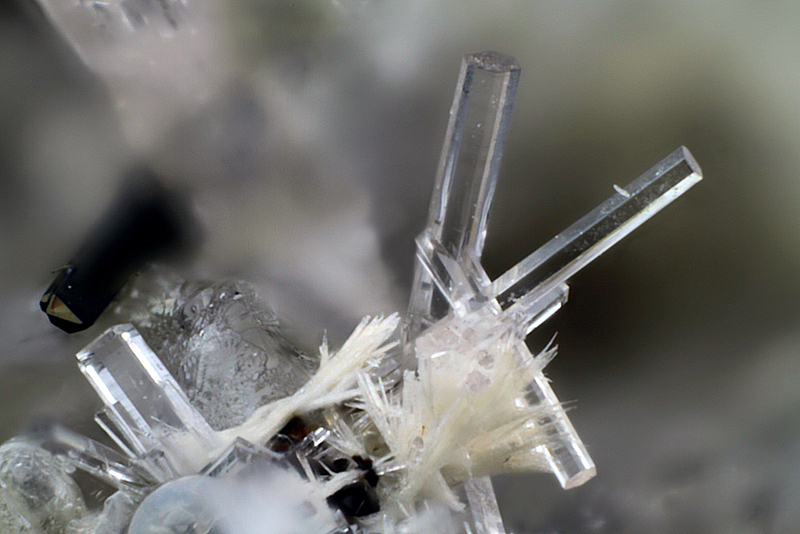 The supergroup has its name after the generic name apatite first introduced by the German mineralogist Abraham Gottlob Werner in 1786 (Gerards 1786). It is derived from the Greek ἀπατάω (apatao), to deceive, in allusion to apatite often being confused with other minerals (e.g., beryl, milarite). 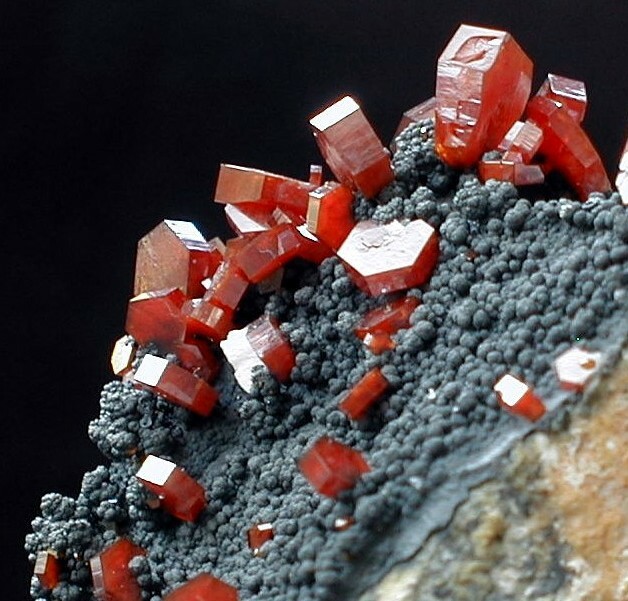 A supergroup that includes minerals with a generic chemical formula IXM12VIIM23(IVTO4)3X (Z=2). A large number of ions may occupy the key sites in the structure, and thus the possible number of distinct minerals is large. The members of the apatite supergroup characteristically show a wide range of substitutional solid solutions. 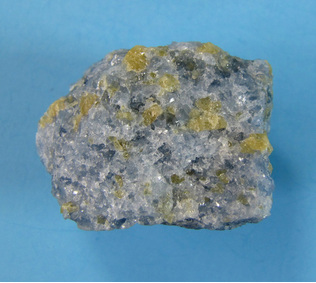 The nomenclature of the apatite supergroup was approved by the IMA in 2010 (Pasero et al. 2010). The apatite supergroup are broader and includes more minerals than the historically "apatite group". (The later is not to be confused with the new approved subgroup of the apatite supergroup, also named the apatite group). It includes arsenate, vanadate, silicate, silicate-sulphate and sulphate minerals. 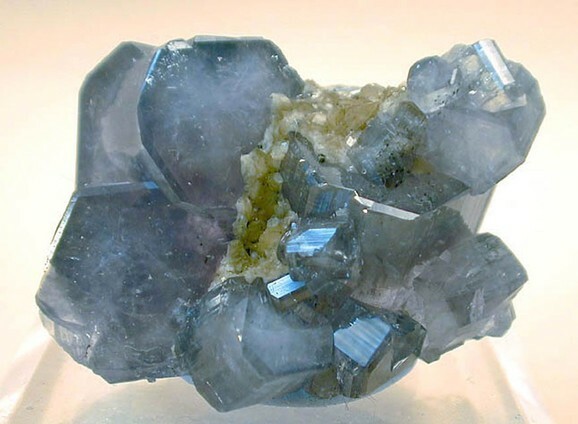 Based on both crystallographic and chemical criteria the apatite supergroup is divided into five groups: Apatite Group, Hedyphane Group, Belovite Group, Britholite Group and Ellestadite Group. Bromine concentration in samples analyzed by Dong (2005) is of a trace level (e.g., 57 ppm). A single study (Broska et al., 2014) reports a possible trace-amount occurrence of CN- (cyanide) admixture in fluorapatite. Vanadium-rich members of the ellestadite group are observed in pyrometamorphic rocks formed in a burning coal-mining dump (Kruszewski, pers. obs.). A manganate(V) (MnO43-) substitution, likely induced by heat treatment, was determined in blue mastodon ivory (hydroxylapatite) bones (Chadefaux et al., 2009). Náray-Szabó (1930) Zeitschrift für Kristallographie, Mineralogie und Petrographie, Leipzig: 75: 387. Mehmel (1930) Zeitschrift für Kristallographie, Mineralogie und Petrographie, Leipzig: 75: 323. Mehmel (1931) Zeitschrift für Physikalische Chemie, Leipzig, Berlin: 15: 223. McConnell, D. (1938) A structural investigation of the isomorphism of the apatite group. American Mineralogist: 23: 1-19. Lang, A.R., Walmsley, J.C. (1983) Apatite inclusions in natural diamond coat. Physics and Chemistry of Minerals: 9: 6-8. Farver, J.R., Gletti, B.J. (1989) Oxygen and strontium diffusion kinetics in apatite and potential application to thermal history determinations. Geochimica et Cosmochimica Acta: 53: 1621-1631. Elliott, J.C. (1994) Structure and Chemistry of the Apatites and Other Calcium Orthophosphates. Elsevier, Amsterdam, The Netherlands. Fleet, M.E., Pan, Y. (1997) Rare earth elements in apatite: uptake from H2O-bearing phosphate-fluoride melts and role of volatile components. Geochimica et Cosmochimica Acta: 61: 4645-4760. Jonckheere, R., Wagner, G. (2000) On the occurrence of anomalous fission tracks in apatite and titanite. 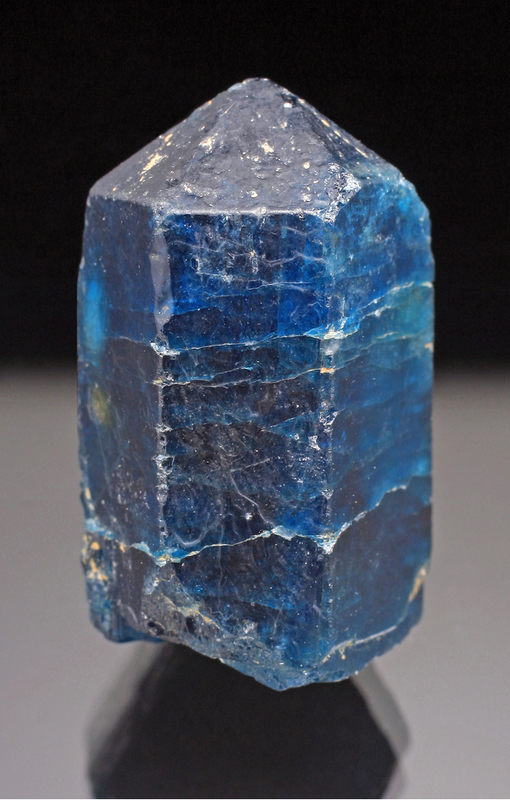 American Mineralogist: 85: 1744-1753. Hughes, J.M., Rakovan, J. (2002) The crystal structure of apatite, Ca5(PO4)3(F,OH,Cl). In: Phosphates - Geochemical, Geobiological, and Materials Importance (M.L. Kohn, J. Rakovan, and J.M. Hughes, Eds.). 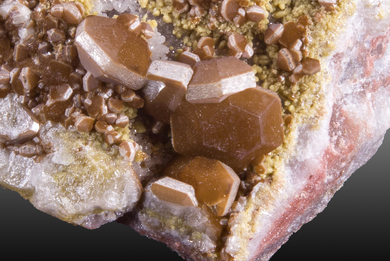 Reviews in Mineralogy and Geochemistry: 48: 1-12. Pan, Y., Fleet, M.E. (2002) Compositions of the apatite group minerals: substitution mechanisms and controlling factors. In: Phosphates - Geochemical, Geobiological, and Materials Importance (M.L. Kohn, J. Rakovan, and J.M. Hughes, Eds.). Reviews in Mineralogy and Geochemistry: 48: 13-49. Flora, N.J., Yoder, C.H., Jenkins, H.D.B. (2003) Lattice energies of apatites and estimation of ΔH1°(PO3- 4 g). Inorganic Chemistry: 34: 499-517. Dong, P. (2005) Halogen-element (F, Cl, and Br) behaviour in apatites, scapolite, and sodalite: an experimental investigation with field applications. Ph.D. Thesis, College of Graduate Studies and Research, Department of Geological Sciences, University of Saskatchewan, Saskatoon. Chadefaux, C., Vignaud, C., Chalmin, E., Robles-Camacho, J., Arroyo-Cabrales, J., Johnson, E., Reiche, I. (2009) Color origin and heat evidence of paleontological bones: Case study of blue and gray bones from San Josecito Cave, Mexico. European Journal of Mineralogy: 94(1): 27-33. 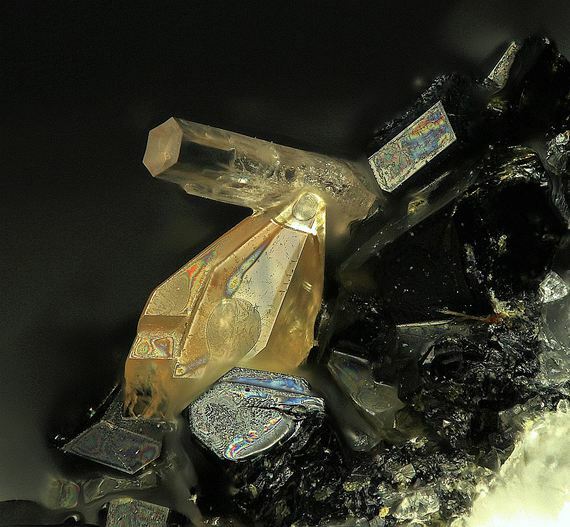 Broska, I., Krogh Ravna, E.J., Vojtko, P., Janák, M., Konečný, P., Pentrák, M., Bačík, Luptáková, J., Kullerud, K. (2014) Oriented inclusions in apatite in a post-UHP fluid-mediated regime (Tromsø Nappe, Norway). European Journal of Mineralogy: 26(5): 623-634. Hughes, J.M., Rakovan, J.F. (2015) Structurally robust, chemically diverse: apatite and apatite supergroup minerals. Elements: 11: 165-170.